Dexion pallet racking can be configured in a number of ways to make it best suited for your requirements. 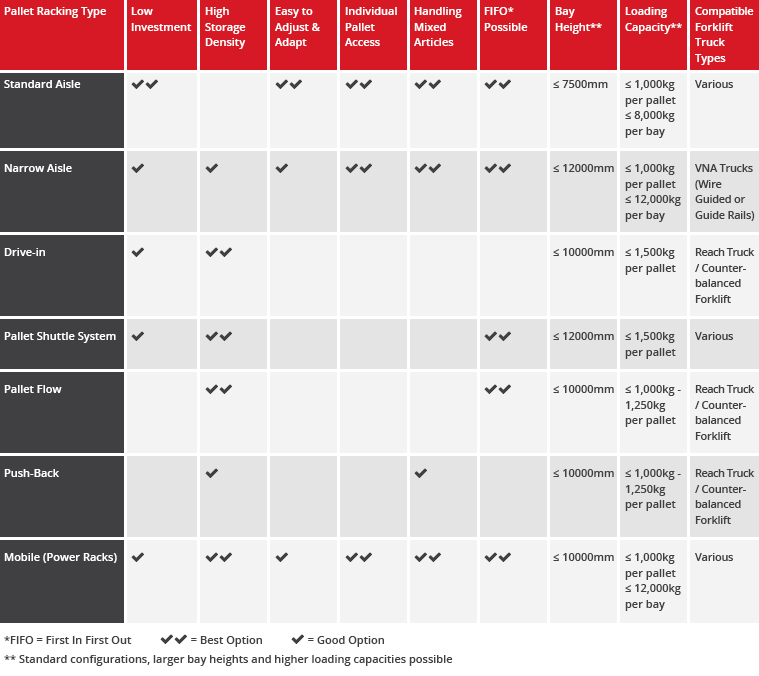 To help you decide which type of pallet racking best suits you, we have created this handy pallet racking comparison chart highlighting the features of different types of Dexion pallet racking. Please get in touch if you would like to discuss your requirements with our experienced advisors.